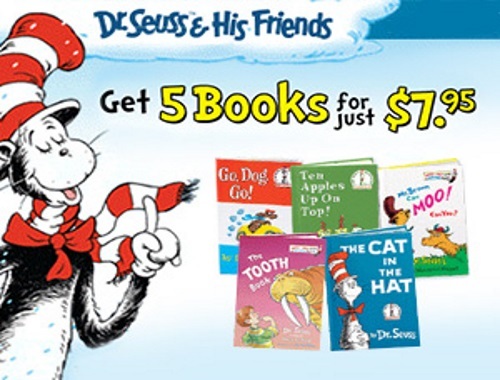 This popular Christmas Dr Seuss and his Friends offer is back! Get 5 books for only $7.95. That includes shipping too! Plus get a Free Activity book and stickers too! Makes for a great gift for Christmas. Offer is available for a limited time.